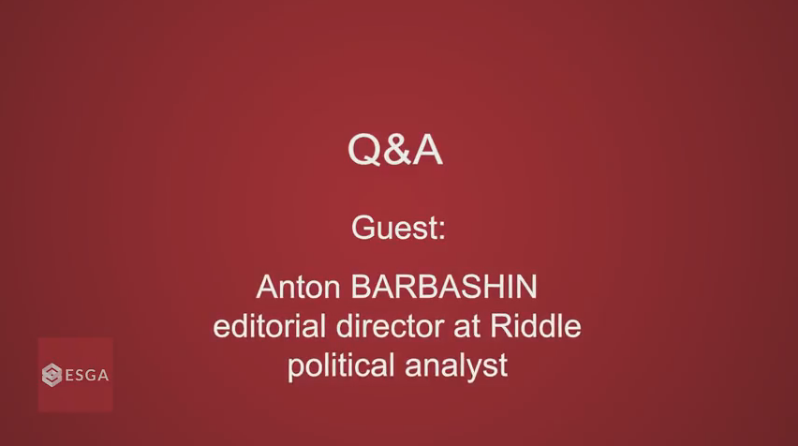 Anton BARBASHIN, editorial director at Riddle, political analyst. Between 2015-2018 he held the position of Managing editor at Intersection. 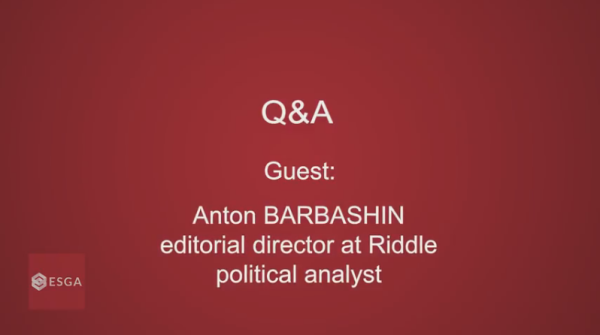 Also, between 2014-2018 he was Analyst at Center for Polish-Russian Dialogue and Understanding. Specialist in International Relations, Novosibirsk State University of Economics and Management. Visiting Expert at Kennan Institute in 2017. This interview was realized by Dr. Angela Gramada in Bucharest on June 18th, 2018, during the participation of Anton Barbashin at the the debate ”Evolution of social-economic policies in Russia” (Economy, Demography, Migration, State of the Nation, Protests)” implemented by ESGA within the project “Understanding the Eastern Neighborhood. A unique platform for comprehensive debates and analysis on Russian affairs” and it is part of the series of the follow-up events continuing the project implemented in 2017 by ESGA. Within this project ESGA aims to engage the young generation of experts proactively in the efforts oriented on setting a new agenda for the dialogue with Russia and to encourage the participation into public debates.